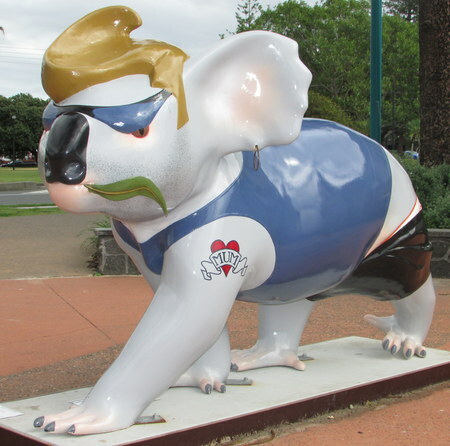 This cool koala is one of many on display throughout the Gold Coast until April 28, 2013. The Gold Coast Koala Trail is part of the inaugural Animals with Attitude Gold Coast Sculpture Trail. Follow the Koala Trail to find all twenty-one cool, crazy, and quirky koalas. These splendid sculptures will be auctioned off on Saturday, May 4, 2013 at a Gala Dinner, with proceeds being donated to the Currumbin Wildlife Hospital Foundation.